Kenneth S. Handmaker concentrates his practice in the areas of employer-employee relations, administrative practice before alcoholic beverage, health care and revenue regulatory bodies, constitutional law and business transactions and business litigation. 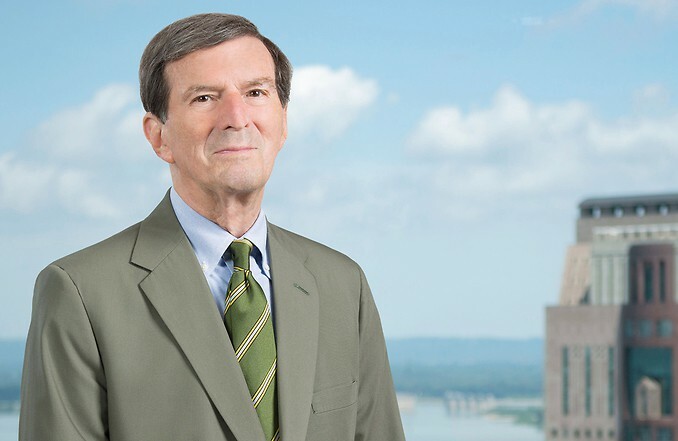 His varied practice is national in scope and has produced a number of legal precedent-setting decisions, including the unconstitutionality of Kentucky’s intangible property tax on out-of-state stocks and bank accounts, St. Ledger v. Revenue Cabinet; the unconstitutionality of a statute prohibiting the judiciary from enjoining an administrative agency action pending appeal, Smothers v. Lewis; the elimination of statutory unfair trade practices in Taylor Drug Stores v. Associated Dry Goods Corp; the establishment of rules of litigation discovery practice in federal court, Wright v. Firestone Tire & Rubber Co.; the right to sell alcoholic beverages by the package on Sundays in Kentucky, Liquor Outlet, LLC v. Alcoholic Beverage Control Board. The unconstitutionality, as special legislation, of a statute regulating the distance between competing alcoholic beverage retailers, Louisville Metro Gov't v O'Shea's-Baxter, and the constitutionality of a statute prohibiting the sale of distilled spirits and wine in grocery stores and convenience stores, Maxwell's Pic-Pac v. Dehner. Mr. Handmaker’s diverse trial and appellate work has taken him to the Iowa Supreme Court to establish new law relating to adoption of adults; to the Florida Court of Appeals to prevent a state agency from violating the procedural rights of a nursing home administrator and to numerous federal and state courts in between that have decided cases in his areas of concentration. Louisville Magazine's Top Lawyers in administrative law and labor and employment defense. Lead counsel in representation of a local Louisville bar and restaurant business in successful argument before the Kentucky Supreme Court. Notwithstanding the Court of Appeals held the statute unconstitutional, the Supreme Court decided the case on the grounds that our client properly measured the distance in a legal and safe format according to a law limiting bar licenses by requiring bars be at least 700 feet apart. The issue was relitigated for another client and the statute was held unconstitutional. Counsel in representation of satellite television company, where Kentucky Supreme Court held that gross receipts of a tax on satellite television is preempted by the Federal Telecommunications Act regarding the ability of a Kentucky school board to impose a tax on satellite television.